Cordoning off a specific area or separating two different zones calls for a door of some sort. And if you are looking for something that eats up less space, is very functional as well as stylish, then sliding doors are your best bet. 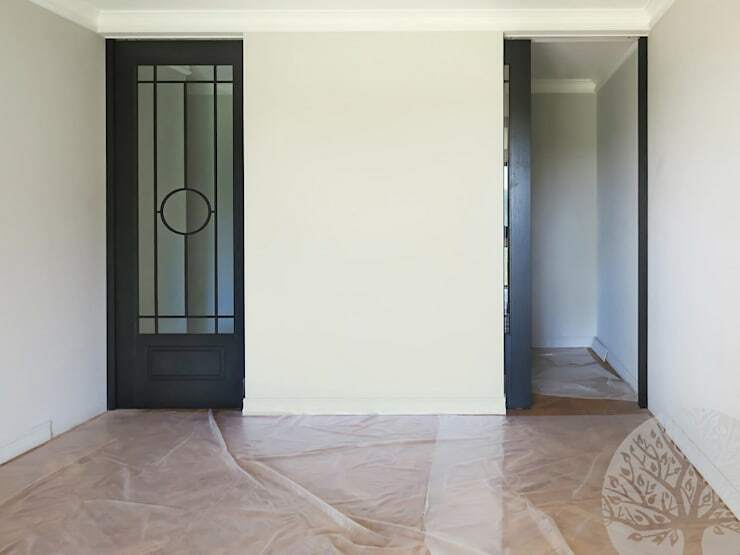 At present, these doors are available in a variety of materials ranging from clear glass, hammered glass, frosted glass, plastic, wood and even steel. You can get them painted or coated with paper too if you wish. So essentially, customising sliding doors has now become a breeze, as long as the dimensions are correct and the placement is aesthetic. 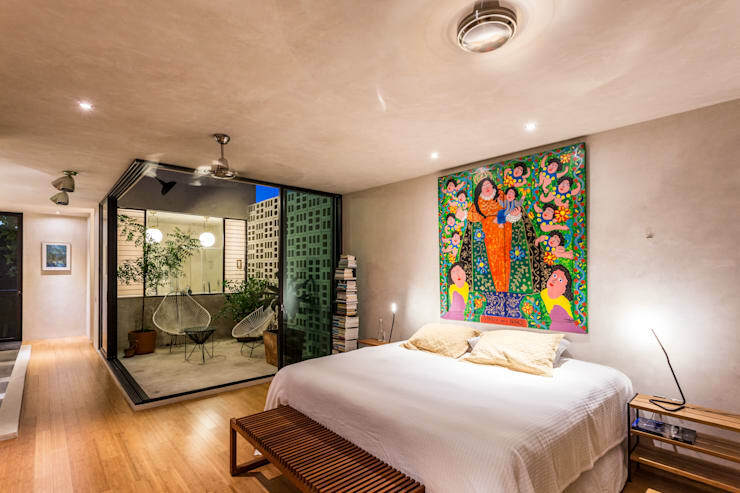 So, check out these 14 awesome sliding door designs before you pick one for your own home. These massive and clear glass sliding doors open up the bedroom to the sunny balcony beautifully, and also offer a ravishing view of the landscape. 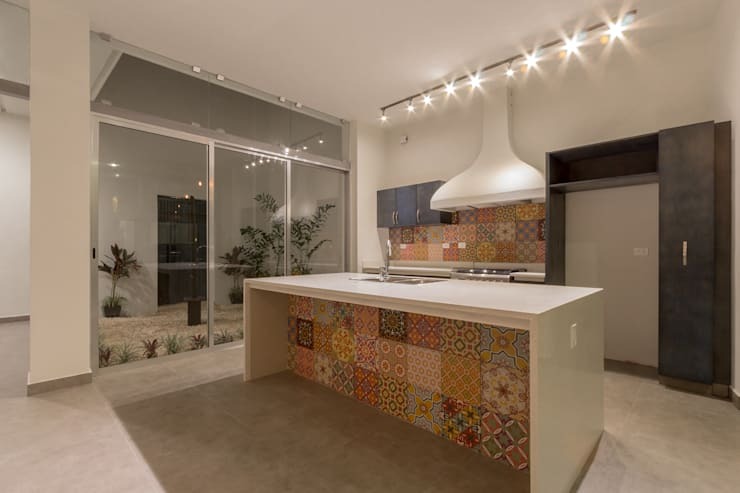 Credit goes to the architects at JSA Arquitectura. The dark frames of the sliding glass doors you see here complement the simple environment and stone walls nicely. 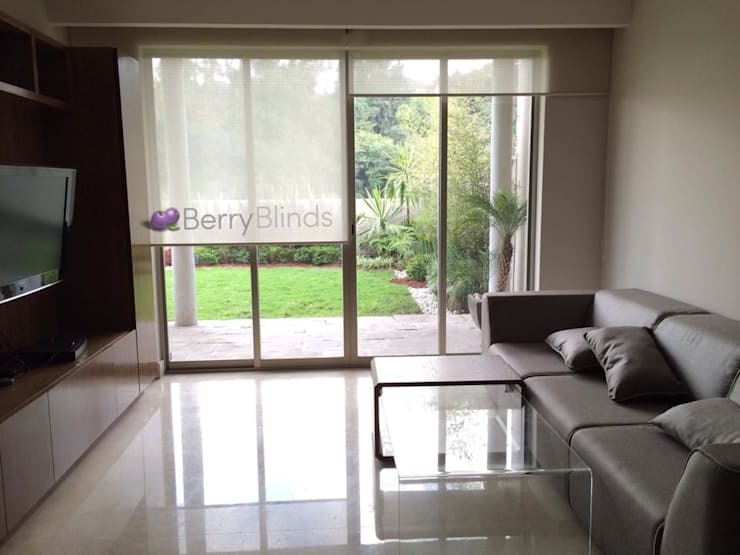 Thanks to these smart sliding doors in sleek white frames, the living room visually and actually connects with the garden easily. 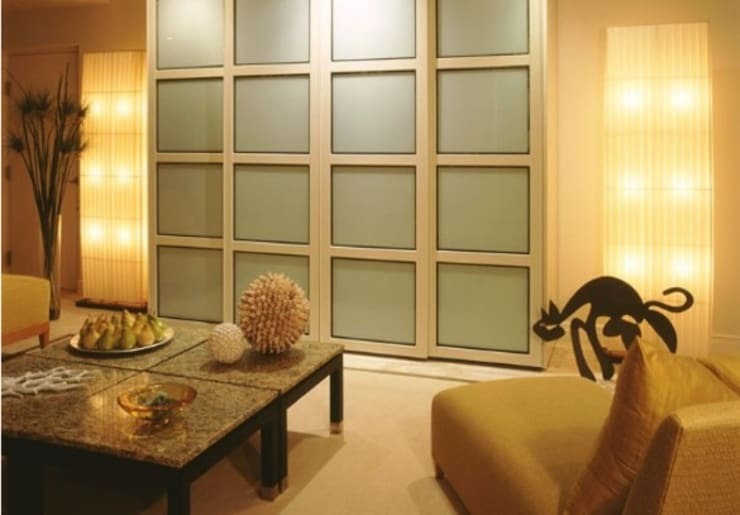 These translucent glass doors allow privacy and look great with golden patterns printed over them. While transparent glass doors bring in tons of light, light white blinds ensure shade and privacy when the need arises. 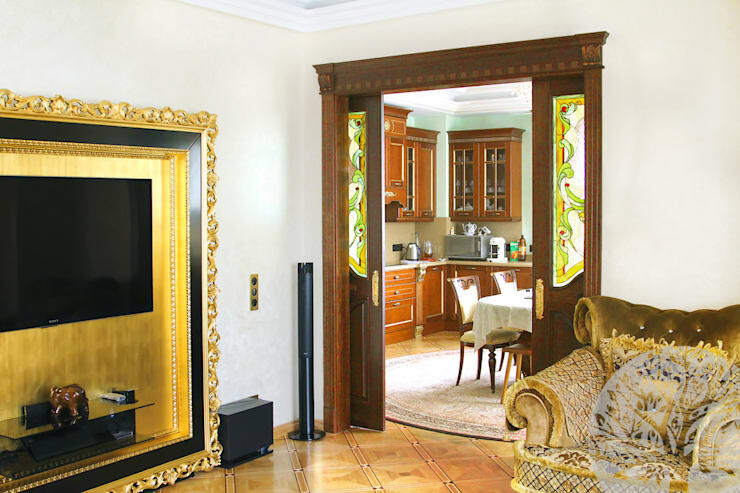 You can see two sliding glass doors here set in black wooden frames with black iron grille for a decorative touch. They have been placed where necessary depending on the need of the inhabitants. 7. No, it’s not a closet! Though it might look like a closet on the first glance, these are essentially translucent sliding doors in neat wooden frames. They go very well with the creamy tones and golden lighting in the room. 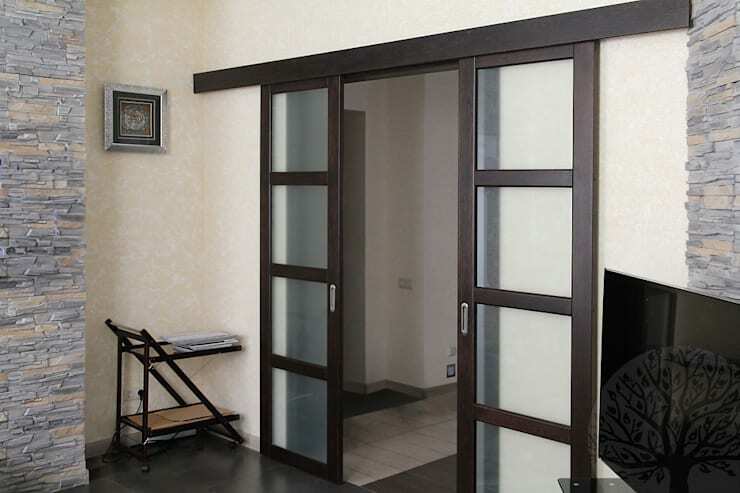 The combination of dark and elegant wood and colourful stained glass makes these sliding doors extremely charming. They take up no space and bring back the glory of bygone days. 9. Are these frosted glass doors floating? Not really! But they do appear so! Suspended from robust steel bars near the ceiling, these translucent doors are engraved and look super stylish. With elegant and sleek glass doors in black frames separating the kitchen and dining, there hardly seems to be any barrier between the two zones. The overall effect is bright and airy as well. 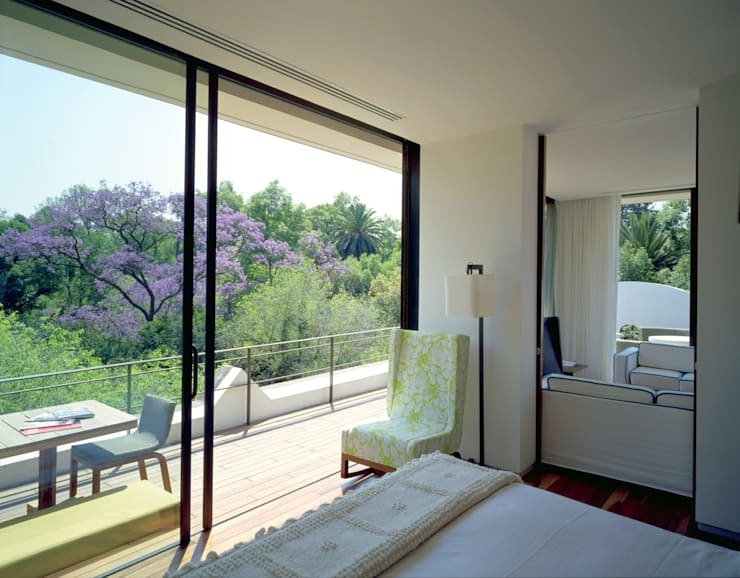 Sliding glass doors cleverly cordon off the indoor garden from the bedroom whenever required. When open, the bedroom looks more spacious and refreshing. 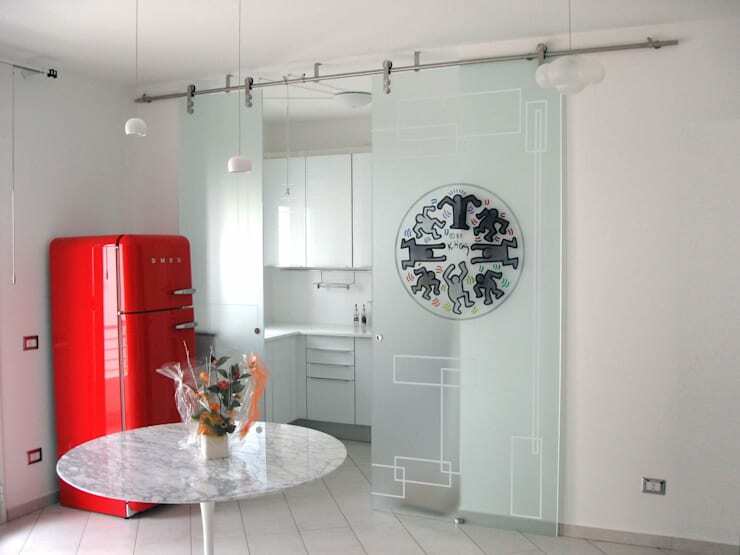 These neat and trendy glass and metal sliding doors separate the kitchen and dining when privacy is required. At other times, they merge these two zones for and expansive and airy feel. 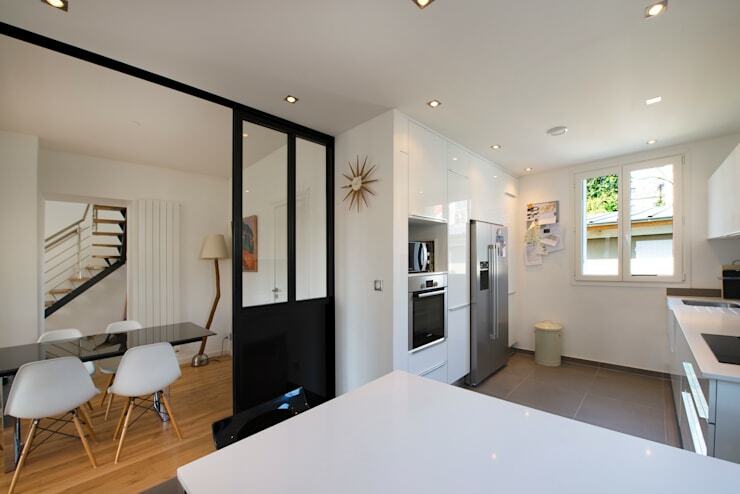 The sliding doors in this kitchen offer ample natural ventilation, thereby preventing odours from spreading. Suspended from strong steel bars, these frosted glass doors offer privacy to the bedroom whenever the need arises, round the clock.